Thesemother of pearl shell and sterling silver earringsfeature the mother of pearl carved into a wing. 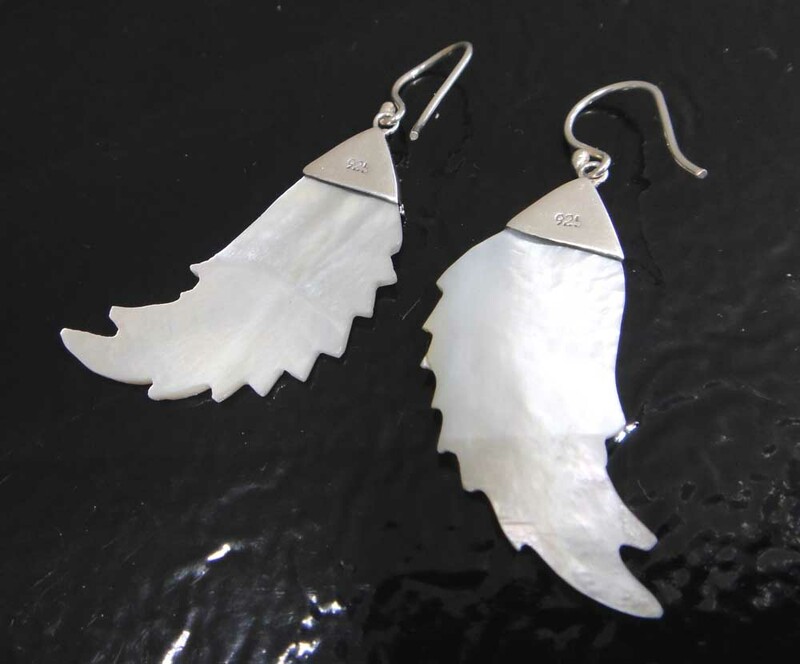 These handmade mother of pearl shell and sterling silver earrings feature the mother of pearl carved into a wing. 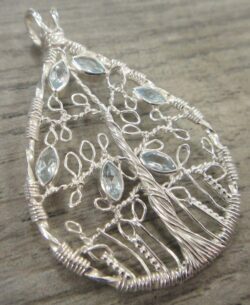 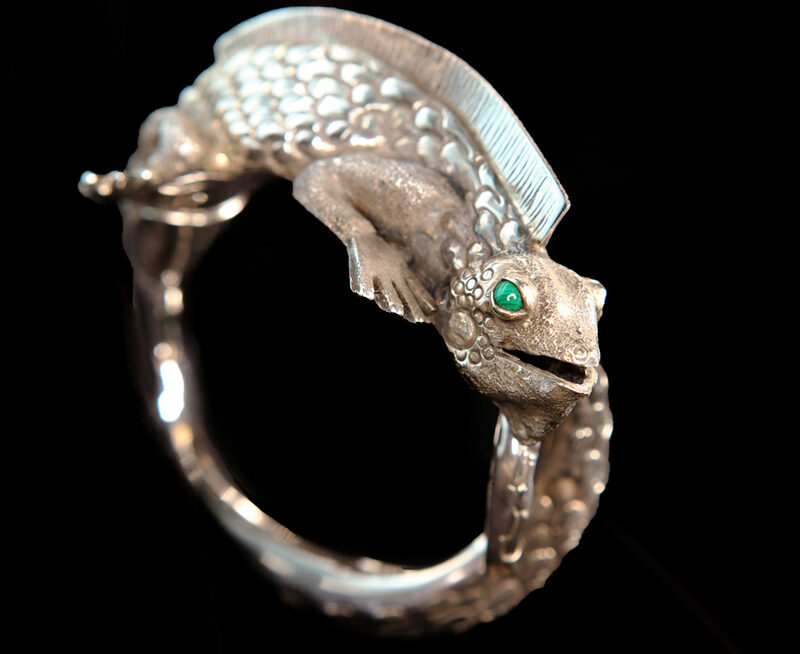 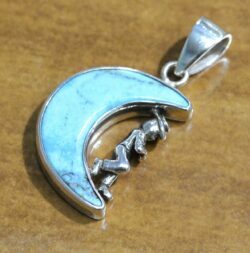 The mother of pearl is set into sterling silver that is placed on the very top of the shell in a triangle. 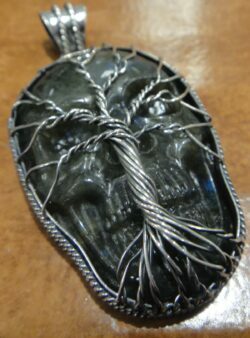 The carved wing is smooth. 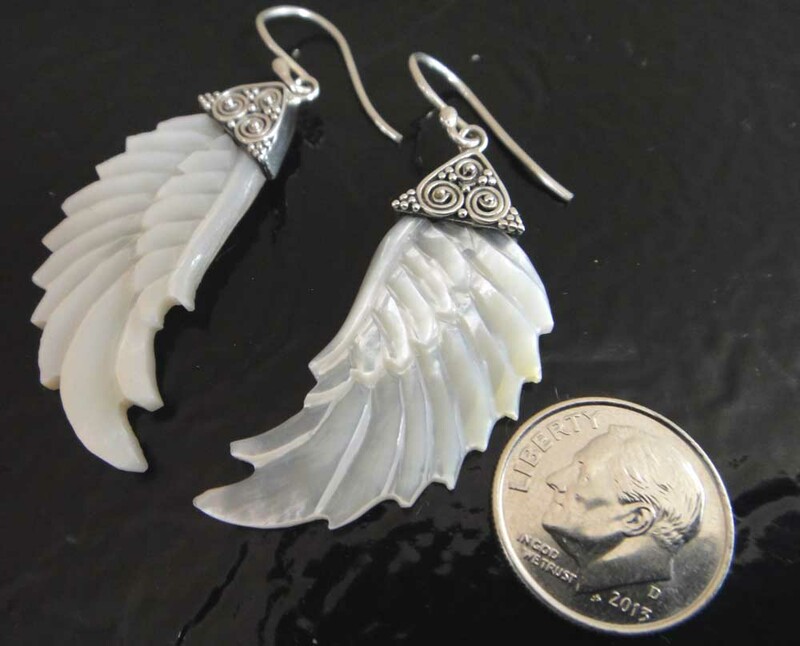 These earrings measure approximately 2.0” long (including the ear wire) by .75” wide. 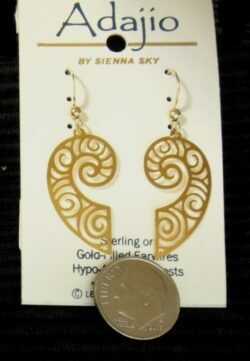 These earrings feature a hook style ear wire. 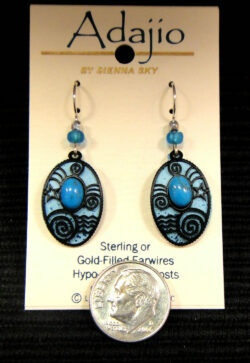 Please note that the dime shown in the pictures is not included but shown to help you gauge the size of the earrings. 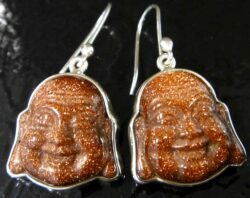 These earrings are stamped 925 on the back so you can rest assured you are getting genuine sterling silver jewelry. 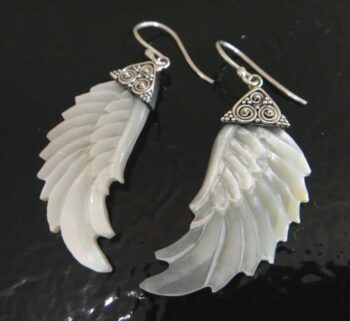 These earrings would make a great gift for anyone who loves shells, the beach, wings, feathers, or unique handmade jewelry. 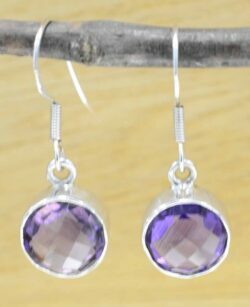 These brand new earrings come with our original store tags and gift box.